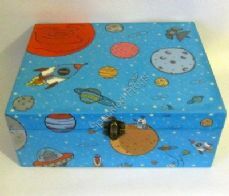 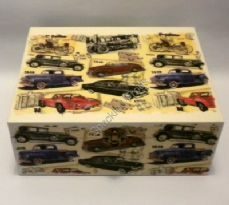 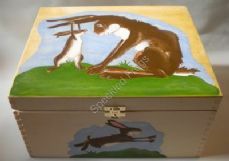 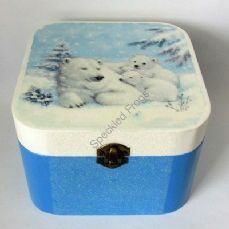 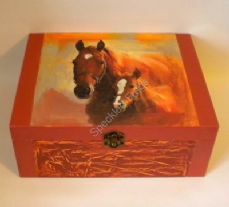 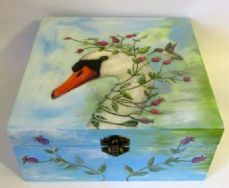 A Keepsake box can keep all of your precious memories and keepsakes safe and close to hand. 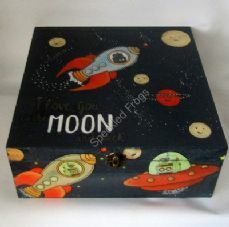 Rockets and UFO's, I love you to the Moon. 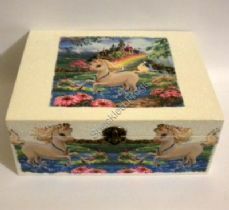 Baby Girl Keepsake Box. 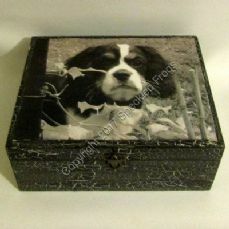 'Our Baby Girl'. 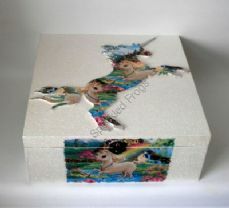 Baby Girl Keepsake Box, 'Stork'. 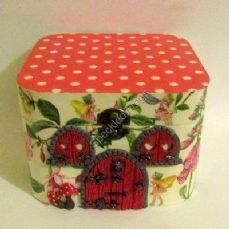 'The Fairy Glen'. 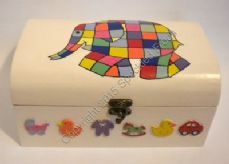 Memory Box. 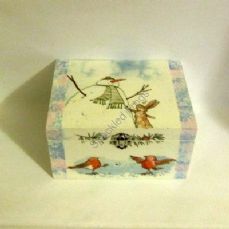 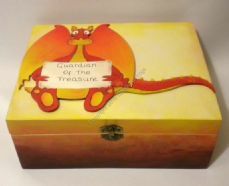 'Loyal and True' Memory Box. 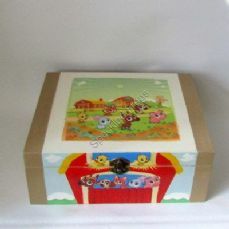 'Down at the Farm' Keepsake/Memory Box.